TWO WOMEN HAVE died in hospital after being taken from the water off the Kerry Coast. The women, one of whom was in her 60s and the other in her 70s, were airlifted to Kerry General Hospital in Tralee where they later died. 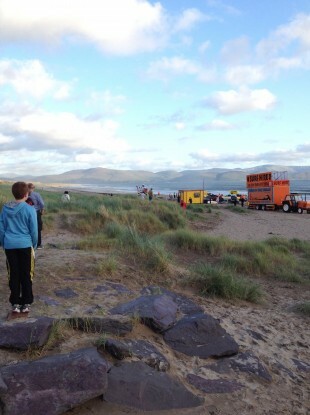 Emergency services were alerted that the women had run into problems at Inch Strand at around 7 o’clock this evening. Gardaí, ambulances and the Coast Guard all attended the scene in the bid to rescue the two women. Email “Two women die after getting into difficulty on Kerry beach”. Feedback on “Two women die after getting into difficulty on Kerry beach”.